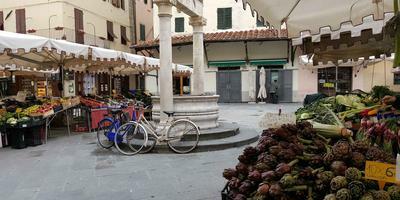 Visiting Pistoia’s old town is like taking a journey back in time. 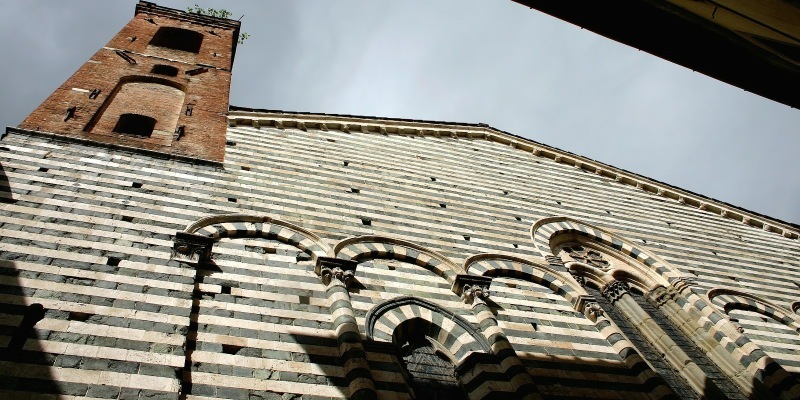 In fact, Pistoia is a city with multiple amazing facets, thanks to its elegance and refined beauty. The evidence of the city's Roman origins appears immediately upon entry: an unexpected series of churches, cloisters, palaces and art treasures not only dating back to the ancient past, but to more recent times, as well. Amidst the narrow, Medieval streets and irregularly-shaped piazzas, prestigious palaces and small tower-houses, a surprising city emerges, bearing an innate an discrete charm, perfect for travelers who appreciate quality and slow-paced tourism. Not far from Pistoia, one reaches Pescia, a town that has a lot to offer to those who passionate for art and nature. The city's origins are Medieval and belong to both banks of the river from which Pescia takes its name: on the right bank, the center's foundation is its characteristic, elongated Piazza, while on the left lies Pescia's religious hub. Among the sights to see, beginning with Porta Fiorentina, one arrives at the Cathedral, re-built at the end of the 17th Century. 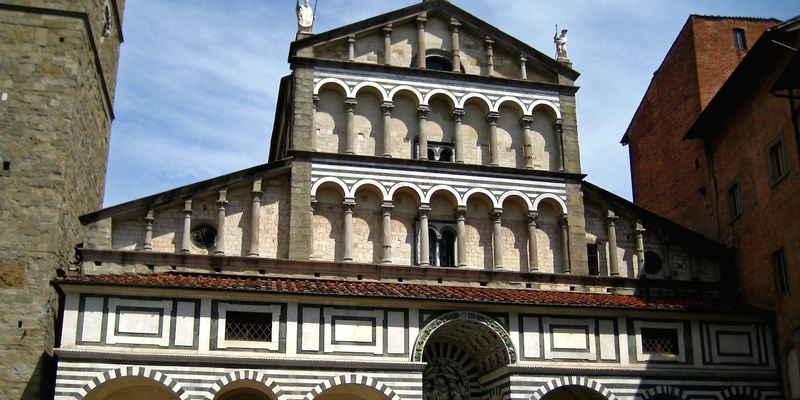 Just opposite is the Church of San Giuliano, and next to the Cathedral is the Seminary Cloister and the nearby Church of the Oratory of Sant'Antonio Abate, conserving the wooden sculpture The Ugly Saints that dates back to the 13th Century. Also here is the Gipsoteca Libero Andreotti Civic Museum with its plaster cast collection. Waterways, and chestnut forests, mills and paper mills, remains of ancient walls and picturesque views open onto the valley, making for lovely visits and walks among history and nature: this is Svizzera Pesciatina, located to Pescia's north. It is also known as Valleriana; the former name honors Giovan Carlo Sismondi, historian and economist from Geneva that here found the valley landscapes and colors of the valleys so similar to those of his own Switzerland. Among the hills and mountains, ten small Medieval villages spring up in pietra serena (a type of sandstone), still extracted and worked in this area. These villages, referred to as castella are: Pietrabuona, Medicina, Fibbialla, Aramo, Sorana, San Quirico, Castelvecchio, Stiappa, Pontito and Vellano. All the castles are connected by a smooth asphalt road, in addition to the Valleriana Trekking trails that allow one to visit the Svizzera Pesciatina via five four-to-six-hour treks. Those planning on tackling one tract each day can stay overnight in the refuge called Uso di Sotto. The Padule di Fucecchio is also a must-see: a marshland basin located in the Valdinievole area south of the Pistoia Apennines, it sits between Montalbano and the Colline della Cerbaia. It is a marsh in which plants adapted to different climates flourish; thus it is a crucial stopover on the bird migration routes between the Tyrrhenian coast and the inland terrain. Here one can observe over 190 species of birds throughout the year, including at least 70 nesting birds. Particularly important are the herons that, during the reproductive period, produce the most important garzaia (nesting colony) in south-central Italy - both in terms of number of nesting couples (up to 800) and for the contemporary presence of four different heron species: the night heron, the little egret, the squacco heron and the cattle egret. The area of Montalbano, a land rich in history, art and traditions - and among the most beautiful in Tuscany - embraces a wide area between the Provinces of Florence, Pistoia and Prato. Its hills are rich in secular chestnut woods, vineyards and olive groves, and offer tourists a rural landscape that is still intact. It is a destination for excursions and walks in the fresh air. Along ancient roads winds the Strada dell’olio e del vino del Montalbano -Le colline di Leonardo, an olive oil and wine itinerary that familiarizes travelers with the typical local products and the characteristic villages (beloved by Leonardo Da Vinci, who inhabited these parts). 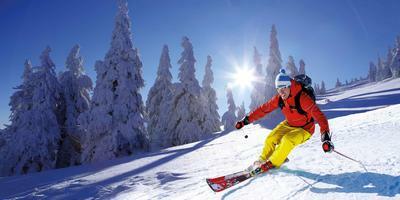 Then, Pistoia Mountain is a paradise for winter sports enthusiasts, boasting some of the most beautiful and best-equipped ski resorts of the Tuscan Apennines, e.g. Abetone and Doganaccia. The entire area provides equipped mountain shelters, located at ski-lift departure points and even on the mountaintop, offering refreshment, relaxation and breathtaking views. The accommodation facilities, diversified according to type and level, are distinguished by hospitality and comfort. Exhibitions and events, organized throughout the winter period, make the stay more pleasant, even for non-skiers and families with children. During the warmer seasons the communities within the ski district are still a destination for tourists who choose to stay in close contact with nature. The great number of hiking trails, the variety of sports activities on offer, the wonderful natural surroundings, clean air and good cuisine are a regenerating experience fit for a royal. Stop in Montecatini or Monsummano (with its Giusti Grotto) for their restorative thermal waters. 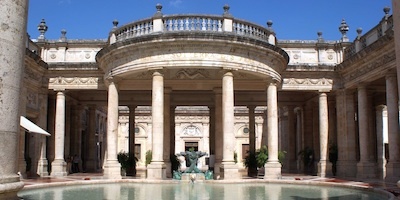 The thermal baths in Montecatini Terme offer over 50,000 sq m of thermal structures and 9 beautiful spas immersed in 430,000 sq m of beautiful parks. The spas Tettuccio, Regina, Leopoldine, La Salute, Torretta, Redi, Excelsior, Tamerici, and the Grocco Thermal Institute provide a complete system of treatment therapies and services by qualified medical doctors. The purest salty-sulphate-alkaline water, rich in precious minerals, is unique in the world. Its curing and healing properties vary depending on the sources from which they spring. Monsummano Terme, rather, is a spa famous for its natural steam from warm and natural caves, used for therapeutic purposes in the spa establishments constructed next to them. The millenary Grotta Giusti is a natural paradise emitting therapeutic vapors from a mirror of thermal waters from its bottom to activate beneficial sauna and detoxifying properties. Collodi, in the Province of Pistoia, is renowned for giving Carlo Lorenzini - the author of The Adventures of Pinocchio - his nom de plume (Carlo Collodi). When in the land of Pinocchio, experience Pinocchio Park, a masterpiece of environmental art where it is possible to relive the tale of the famous wooden puppet through creations, realized by famous artists from the 20th Century: such as Giovanni Michelucci, Emilio Greco, Venturino Venturi, and Pietro Porcinai. Indeed, Collodi is a characteristic hamlet perched on the hill in the Comune of Pescia. Also an important sight in Collodi is Villa Garzoni, with its monumental Italian garden and Butterfly House, a lush tropical garden with thousands of butterflies from all over the world. Collodi, together with Cutigliano, holds the Orange Flag, a mark of quality that the Italian Touring Club assigns to small inland towns that distinguish themselves for their excellent touristic-environmental offer.